Christmas is getting closer and closer, and we're all getting into the festive spirit! This year, I thought I'd revive a family tradition and make some Christingles with my friend (and All Craft Blog founder) Charlotte, and her wonderful little sister, Athena. 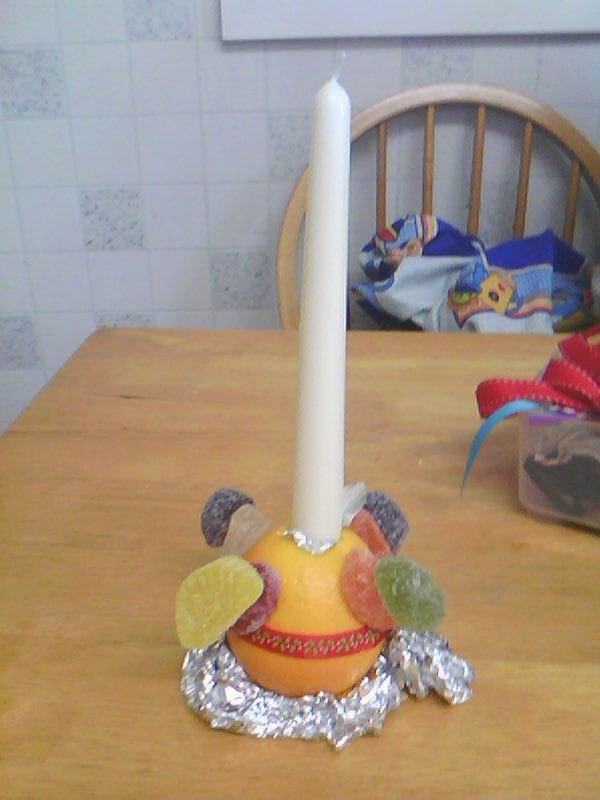 So this year, I thought I'd make a Christingle. 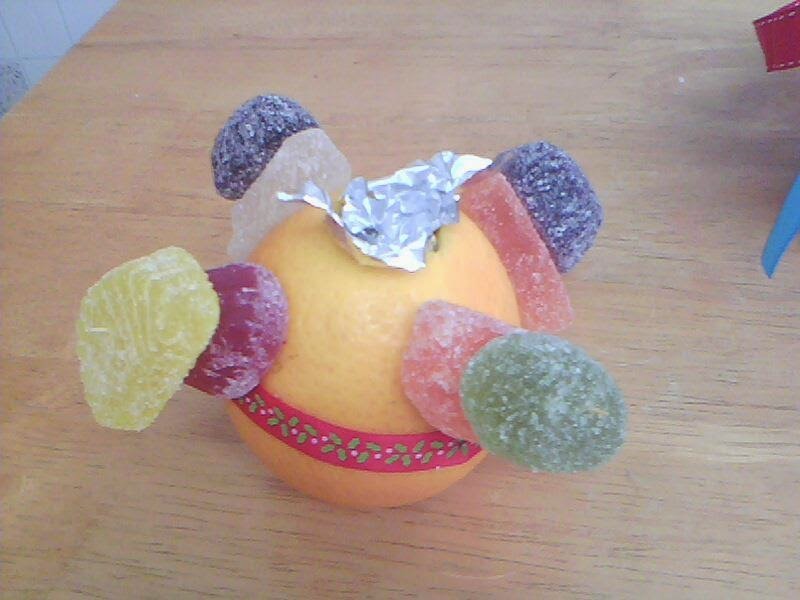 For tradition's sake, I will also mention what each part of the Christingle represents as I'm going along. Once this is done, get a responsible adult to cut a candle-sized hole in the top of the candle. (Both Athena and I handed our oranges straight to Charlotte! She's worryingly handy with a knife.) Once the hole is made, line the hole with a small piece of tinfoil. 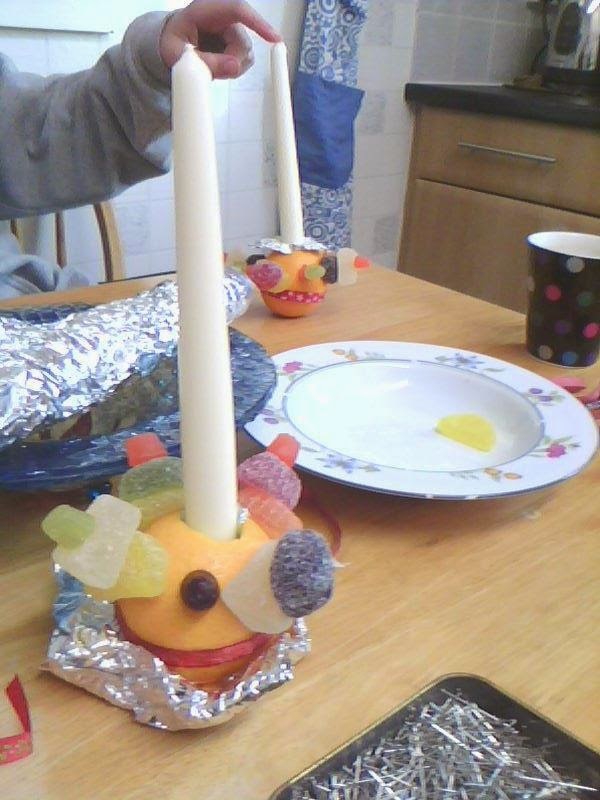 The tinfoil (or aluminium foil, if you're American) will protect the orange from melted wax and the candle's flame. After this, stick four cocktail sticks in your orange. Place them above the ribbon, and at an equal distance from one another. You can either have the cocktail sticks pointing straight out, or you can place them at a jaunty angle. I went for the jaunty angle – pointing slightly upwards. (These cocktail sticks represent the compass points, North, South, East and West.) Then, skewer as many sweets on to the sticks as is humanly possible! 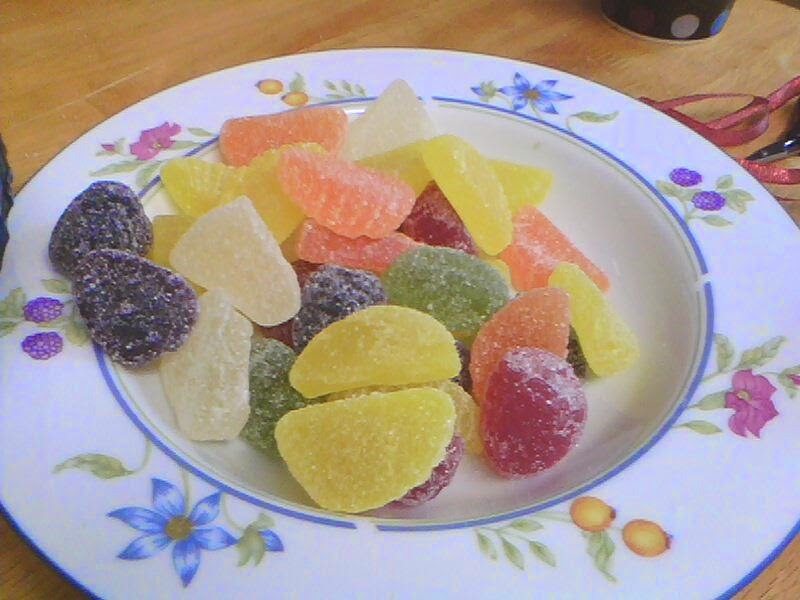 (The sweets represent God's bounty.) Athena, Charlotte and I used the following method – one sweet on the cocktail stick, one sweet in our mouths. One sweet on the cocktail stick, one in our faces. 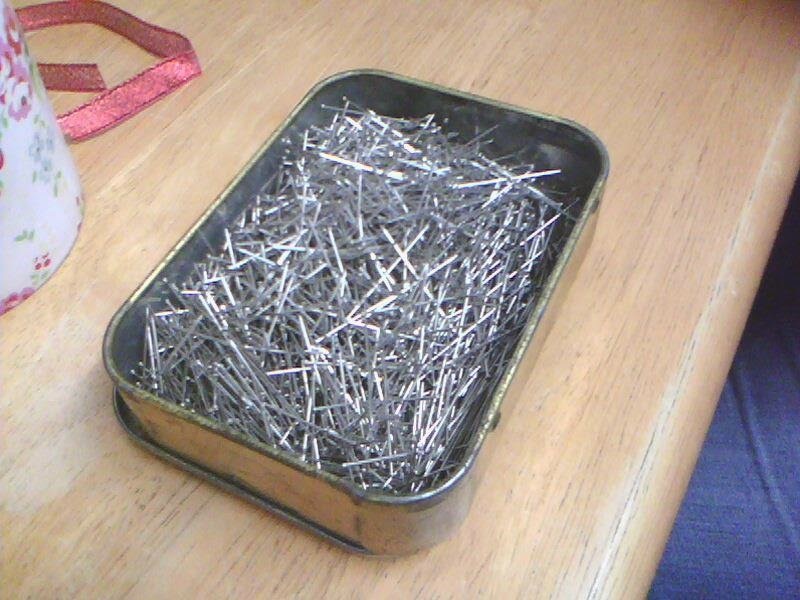 Hopefully, no one will run out of sweets by employing this method! Once that's done, take the candle and stick it in the tinfoil-lined hole! (The candle is meant to represent the light of Jesus coming into the world.) Athena later wrapped a piece of ribbon around the candle, to make it look like a candy cane. It looked beautiful! 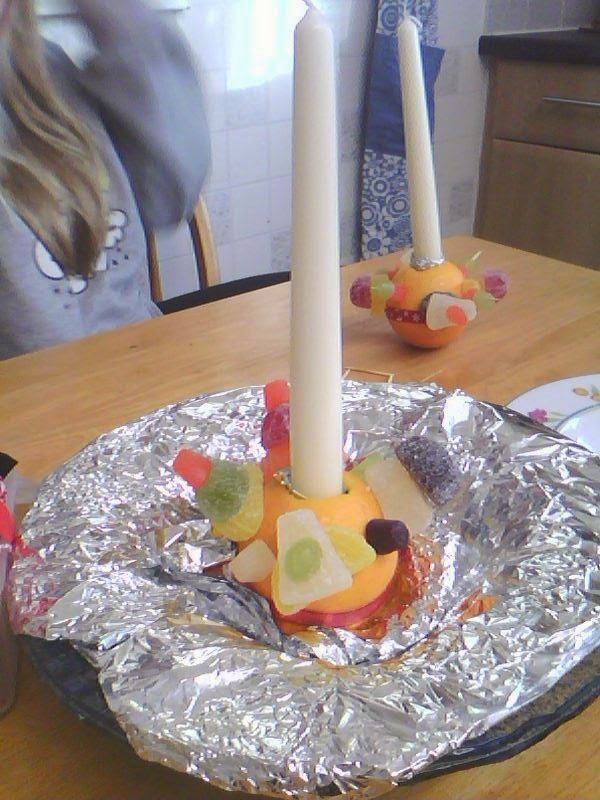 You might have to balance your finished Christingle on a scrunched up piece of tinfoil. 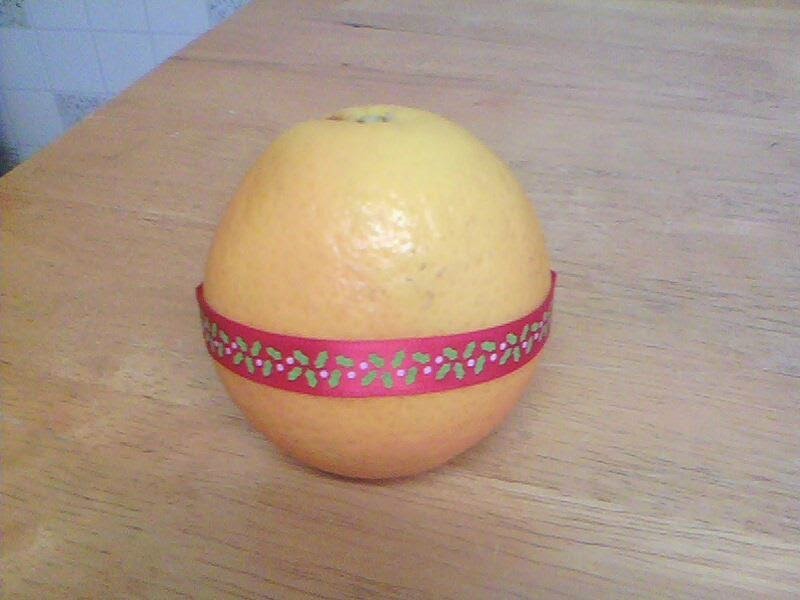 Or place the Christingle in a pretty decorative bowl, like Charlotte did! 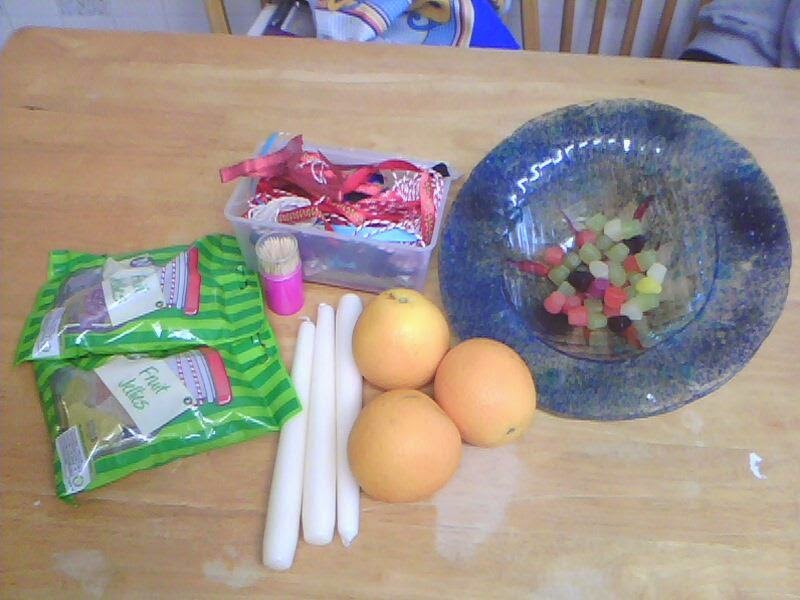 Once that's done, and you're certain the orange isn't going to topple beneath the weight of the sweets, you can light your Christingle as soon as it gets dark!